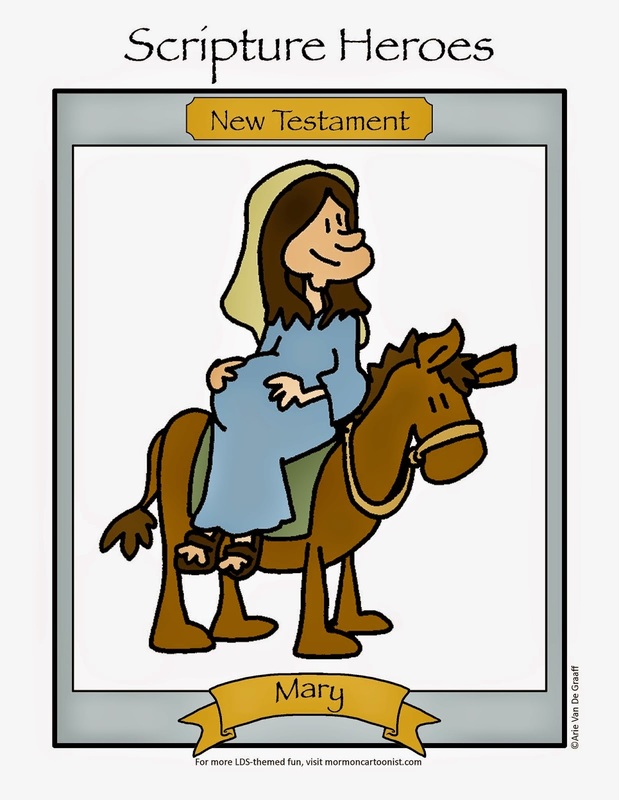 Ward Cartoonist: How About Peter, Peter Pumpkin Eater? How About Peter, Peter Pumpkin Eater? Today's gag is featured in this month's New Era. One of the Elders in my mission, who later went on to play piano for one of the major symphonies in the U.S., once played a beautiful arrangement of the Oscar Mayer Wiener song as the prelude music for a baptism. It was outstanding, but several of us had to excuse ourselves from the chapel in a fit of giggles. I love this story. The poor Koreans probably had no idea what was wrong with you guys. Mmmm? Arie, could this be a personal reflection of you? Seems I remember . . .
Yeah, this one is pretty autobiographical. 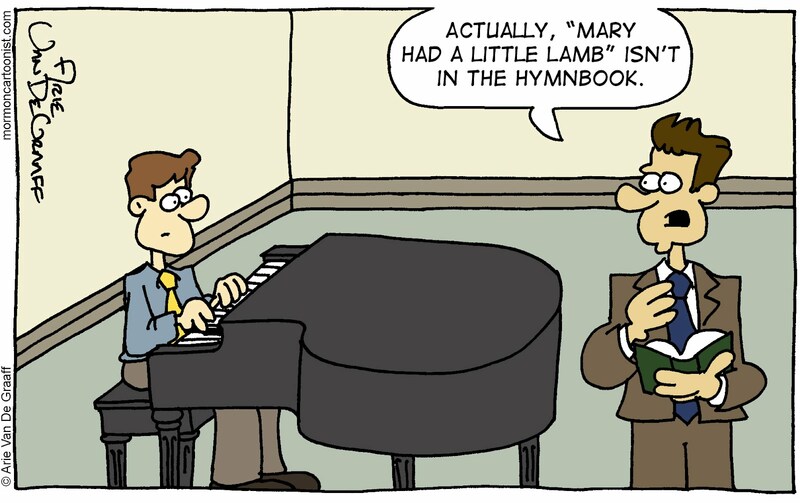 While I never tried to play "Mary Had a Little Lamb" for priesthood opening exercises, given the choice between that and some of my sorry attempts to play the hymns, I suspect most of the guys in the room would have opted for the nursery rhyme.